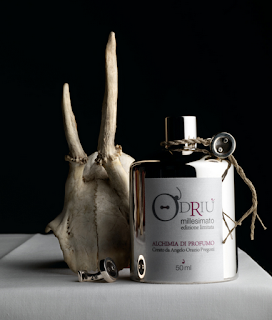 Elitism and snobbery seem to be two of the most common aspects of high-end perfumery firms but, solid brands who deliver solid fragrances just like O'Driù is doing, don't need to endorse such attitudes. Ok, Pregoni is surely responsible of a bunch of the most exclusive fragrances around, but this doesn't mean that exclusivity have to be necessarely related to snobbery or elitism. In this context, O'Driù perfectly reflects its "maitre parfumeur" vision which is a journey into art, literature and culture, not just fashion. Good job O'Driù. A tiger in a dark forest. This is the most appropriate and fitting image to describe Laltrove 1001. A brutal, sort of arresting opening accord of astringent citruses immediately joined by the usual aromatic herbs galore and a strong, dark green presence. Breathtaking. This initial phase is surrounded by an overall anisic/absynth vibe that while mantaining the general dry carachter of this composition, provides a slight dose of "light" to an otherwsie incredibly dark fragrance. Believe me, there's nothing like it around. Compared to other deliveries from the brand, Laltrove 1001 results pretty linear which, considering the amazing opening, is good news. The only substantial change during its evolution is an animalic, sort of leathery-musky element that shows its presence during the drydown providing some tension. It's there to remind you that you're not alone in the forest. 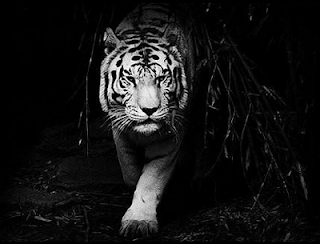 There's a tiger crouched behind the bushes, lurking in the dark, patiently waiting for its prey.